Halifax-born entrepreneur, Claire O’Connor, established the dance franchise babyballet by herself in 2005 with no capital investment. Over the past 13 years, she has grown the business to become one of the UK’s leading pre-school dance concepts, and her company is a key player in the UK franchise market. All this, plus she’s a mum to four children. TopicUK editor Alex Mason spoke to Claire to find out just how she does it. Claire O’Connor was born for ballet. Her mother, Barbara (who recently featured across national media after she passed a top exam with the Royal Academy of Dance aged 80), had her own successful ballet school and has worked across the world as a children’s examiner for the Royal Academy of Dance. Despite starting dance at the age of three, as Claire reached her teens, her experiences of ballet were not always positive. So, she set to work to develop ‘babyballet’, a pre-school dance class where the main emphasis was on fun and building confidence. “I attended ‘traditional’ ballet classes but gave up at 14 because I felt I was the wrong shape and not good enough,” Claire says. “It left me with a lack of self-confidence and poor body image. I didn’t want this to happen to others, and so because of my experience when I was younger, babyballet was born. My company proves that shape and size shouldn’t be a barrier to ballet. “Following several years of research, I launched babyballet in 2005 in my home town of Halifax. The initial success and demand for babyballet in Halifax was astounding, and I wanted children further afield to enjoy the classes, so I developed it into a franchise model. I invested a huge amount of time, money, blood, sweat and tears to make sure the model would be successful for franchisees but maintain our exceptional standards of the syllabus and brand,” she adds with a slightly humorous yet serious tone. 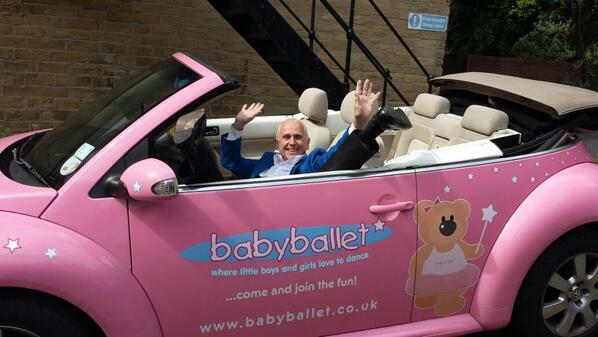 babyballet now operates across 74 franchisees in the UK, with 34 licencees in Australia and New Zealand, and more than 22,000 children (or ‘babyballet stars’, as Claire affectionately calls them) attending classes each week. But what is it about the babyballet concept that Claire believes has made it so successful? “I think it’s because we provide a happy and safe environment for children from six months to six years to learn to dance while simply having fun,” says Claire. “Babies develop through being active and exploring their environment, so moving and grooving activities like babyballet classes help them develop key skills such as coordination, balance, flexibility and strength. Claire also sings the praises of her franchisees, whom she credits with helping her enormously to grow the babyballet brand to where it’s at today. “All the franchisees are passionate about the brand and building their own business,” she adds. 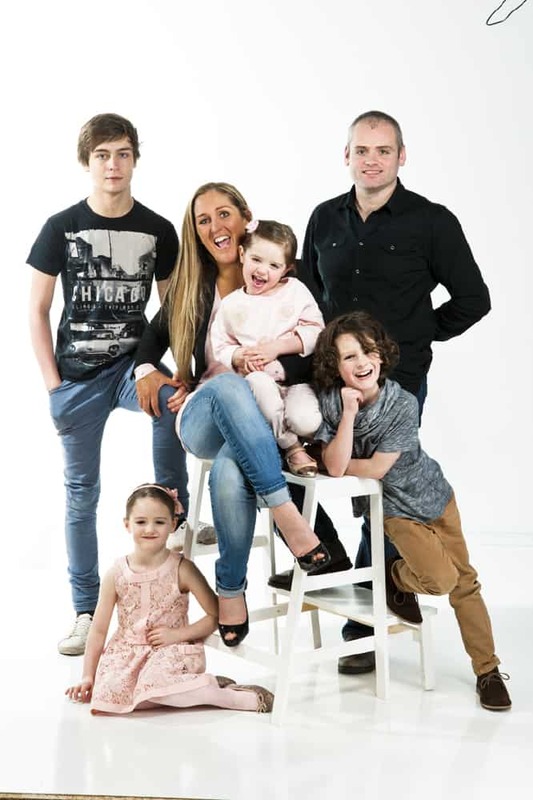 “For those with children, having a babyballet franchise gives them the opportunity to have a family and run their own company at the same time, which is something I am extremely proud of because I have four children (Harry, 21, Charlie, 14, Claudia, 11 and Kitty, nine) myself. Claire is continuing to claim new territories for the business, both in the UK and internationally, and in 2016, babyballet established its presence in Australia and New Zealand. With this success has come much recognition for Claire, who is no stranger to the stage (or TV screen!) herself. Her success story places her in high demand as as a public speaker and she also appeared on the controversial Channel 4 reality show, Big Ballet, alongside Wayne Sleep and Monica Loughman. I ask Claire what she feels has helped her ensure the success of her franchising business model in particular. “Ensuring that all our franchisees get to meet and share their experiences and feedback has been a massive part of our success,” she tells me. “We have regional meetings and once a year we have our annual conference, provided by head office. It’s a chance for our franchisees to learn how to build their business, network with like-minded, friendly peers and listen to inspirational guest speakers to keep them motivated. She continues: “We recently had award-winning entrepreneur Clint Salter come all the way from Australia to be our main speaker. He’s a marketing genius who helps dance academy owners turn their passion into profit. Over the past 13 years, Claire’s initial idea for babyballet has grown beyond recognition, and she has determined plans to expand the business even further across the globe. But, when it comes to the secret ingredient, she credits much of her success a lot closer to home. 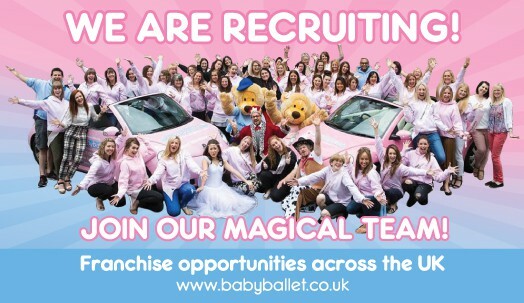 To find out more about joining the babyballet® franchise family, why not watch our video about the benefits of becoming a babyballet franchisee by clicking here. You can then find out all the information you need to know using our babyballet Facebook messenger chatbot. Alternatively, please click here to take a look at our franchise information on our website, or contact babyballet Head Office on 01422 329471. To book a three week trial and find out more about our award-winning babyballet classes, please click here!